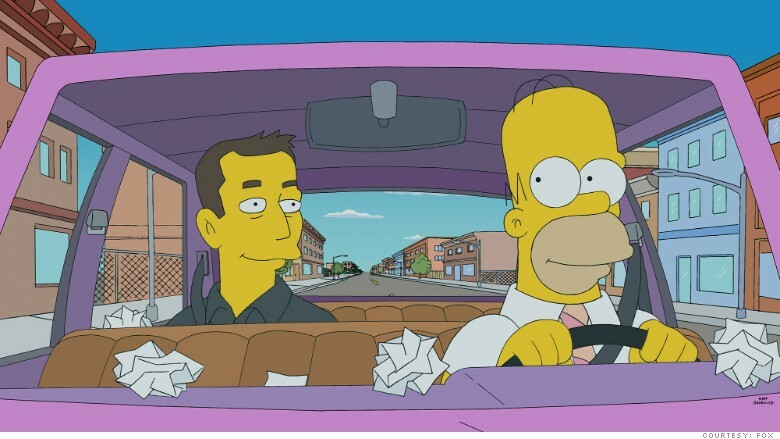 Elon Musk was the star of the latest episode of The Simpsons. Where does Elon Musk, the man behind Tesla Motors, SpaceX and PayPal, get his breakthrough ideas? Would you believe Homer Simpson? That was the premise of "The Musk that Fell to Earth," the latest episode of "The Simpsons" which aired Sunday night and gave Musk a starring role. In the show, Musk lands his spacecraft in the Simpson's backyard, where their genius daughter Lisa explains to the family that he is "possibly the greatest living inventor." She later explains that his electric cars "changed the way Hollywood drives." Musk is suffering from inventor's block in the episode, and the only thing that inspires him are the ramblings of buffoon Homer Simpson. The show never names Musk's companies, Tesla (TSLA) and SpaceX, but it does takes a few jabs at their business models. When Musk introduces self-driving electric cars and the high-speed transport Hyperloop system to the Simpsons' hometown, they lose money. His PowerPoint presentation has headlines such as: "No upside for years." "Makes no financial sense but it's cool." "A terrible sacrifice now that future generations may appreciate." Still, Musk convinces money-hungry business titan Montgomery Burns to build some of his electric-powered dreams. But that leads to a $50 million loss and mass layoffs that send Springfields into a new Depression. Musk's Hyperloop is reduced to housing for homeless families. And Homer decides he no longer wants to be friends with Musk because "None of his pie in the sky ideas ever work out." The real Musk helped make the episode, and the flat, emotionless voice that his character is unmistakable. Still, the inventing superstar felt compelled to respond publicly to one comment made by the fictional Lisa Simpson. 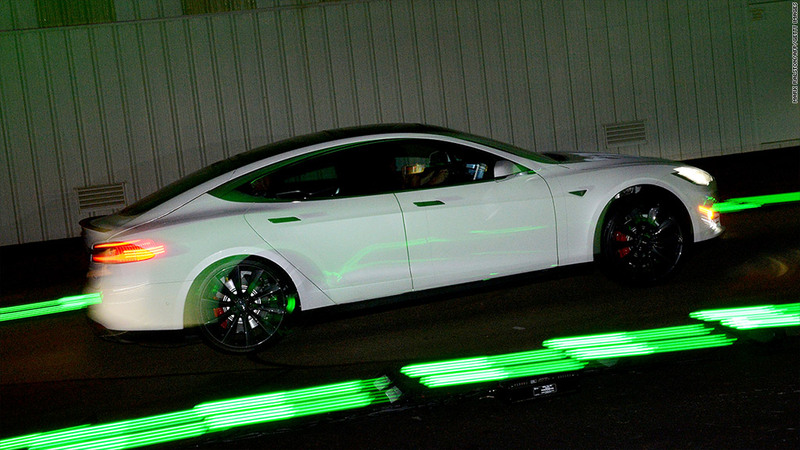 "For a man who likes electric cars, he sure burns a lot of rocket fuel," she said. Musk responded with a tweet saying "If u saw @TheSimpsons and wonder why @SpaceX doesn't use an electric rocket to reach orbit, it is cuz that is impossible."